14-Zakhid.net: Are We Really so Scary, or Why do Others See Us as Such? The Chair of Ukrainian Studies at the University of Ottawa, the only research unit outside of Ukraine predominantly devoted to the study of contemporary Ukraine, is announcing the establishment of the Drs. Peter and Doris Kule Doctoral Scholarships on Contemporary Ukraine. The Scholarships will consist of an annual award of $20,000, plus all tuition, for a maximum of four years. The Scholarships were made possible by a generous donation of $500,000 by the Kule family, matched by the University of Ottawa. Drs. Peter and Doris Kule, from Edmonton, have endowed several chairs and research centres in Canada, and their exceptional contributions to education, predominantly in Ukrainian Studies, has recently been celebrated in the book Champions of Philanthrophy: Peter and Doris Kule and their Endowments. Students with a primary interest in contemporary Ukraine applying to, or enrolled in, a doctoral program at the University of Ottawa in political science, sociology and anthropology, or in fields associated with the Chair of Ukrainian Studies, can apply for a Scholarship. The application for the Kule Scholarship must include a 1000 word research proposal, two letters of recommendation (sent separately by the referees), and a CV and be mailed to the Office of the Vice-Dean, Graduate Studies, Faculty of Social Sciences, Desmarais Building 3210, 55 Laurier East, Ottawa ON K1N 6N5, Canada. Applications will be considered only after the applicant has completed an application to the relevant doctoral program at the University of Ottawa. Consideration of applications will begin on 1 February 2012 and will continue until the award is announced. Students interested in applying for the Scholarships for the academic year 2012-2013 are invited to contact Dominique Arel, Chairholder, Chair of Ukrainian Studies, at darel@uottawa.ca. The Chair of Ukrainian Studies is proud to announce the program of its marquee annual event— the Seventh Annual Danyliw Seminar on Contemporary Ukraine, to be held on 20-22 October 2011 at the University of Ottawa. The program is attached to this message and can also be downloaded from the Chair of Ukrainian Studies website at www.nationalities.org. The Seminar will take place in The Lounge, New Residence, 90 University Private, on University of Ottawa campus. The campus map can be accessed at http://www.uottawa.ca/maps/. 90 University Private is located in building “RCR” onm the map, across the pedestrian street from building “UCU”. The Seminar will feature 16 presentations and bring together 27 scholars and doctoral students from Ukraine, Western Europe, the United States and Canada. The first day, on October 20 (1.30-6.00 PM), will feature three papers on contemporary Ukrainian politics (on civic loyalty, the Far Right, and the European Union), as well as a special lecture by Maria Lipman, of the Carnegie Moscow Center, on Russian-Ukrainian relations. The lecture will be followed by a public opening reception at Café Nostalgica, 603 Cumberland St., a five minute walk from the Seminar location. On Friday, October 21 (9.00 AM-5.20 PM), all six presentations will focus on World War II and is contested memory, with papers on nationalism in literature, anti-Jewish violence, the Ukrainian police, Ukrainians saving Jews, and the Ukrainian insurgency. On Saturday, October 22 (9.00 AM-4.45 PM), the Seminar will offer its first ever section on Education in Ukraine, with papers on historical guilt, regional diversity and disadvantaged youth, as well a closing afternoon session mostly touching on gender issues. Three of the Saturday presentations will deal with the Holodomor, in either its educational, commemorative or gender aspect. As it has become customary in previous years, the Seminar will introduce new talents, with fifteen participants – including six doctoral students – making their first appearance in this annual event. As a sign of the vitality of Ukrainian studies, eleven of the participants are Ukraine-born, nine of whom currently living or studying abroad. The 2011 Danyliw Seminar Program was prepared by an international selection committee comprised of Alexandra Goujon (France), Ioulia Shukan (France), Oxana Shevel (US) and Dominique Arel (Chair of Ukrainian Studies). The Seminar is made possible by the commitment of the Wolodymyr George Danyliw Foundation to the pursuit of excellence in the study of contemporary Ukraine. Since seating is limited, people interested in attending the Seminar must register by email (chairukr@gmail.com) as soon as possible. Registration is free. The Chair of Ukrainian Studies can also be contacted by phone at 613 562 5800 ext. 3692. We very much look forward to seeing you at the Seminar! Does Nation-Building Increase the Strength of Citizen Loyalty in Ukraine? Café Nostalgica, 603 Cumberland St. The University of Toronto’s Centre for European, Russian, and Eurasian Studies (CERES) is pleased to announce a call for papers for the fifth bi-annual Graduate Student Symposium entitled”Ukraine in Global Context” to be held in Toronto on January 27-28, 2012. This interdisciplinary Symposium will bring together aspiring young scholars for two days of presentations and intensive discussions on the study of contemporary Ukraine.
. New Approaches to National History and the Politics of Memory. The ASN Convention, the most attended international and inter-disciplinary scholarly gathering of its kind, welcomes proposals on a wide range of topics related to nationalism, ethnicity, ethnic conflict and national identity in Central Europe, the Balkans, the former Soviet Union, and Central Eurasia (including Central Asia, the Caucasus, Turkey, China, Afghanistan, Pakistan, Iran, and Iraq). The Convention also invites proposals devoted to comparative perspectives on nationalism-related issues in other regions of the world, as well as theoretical approaches that need not be grounded in any particular geographic region. Disciplines represented include political science, history, anthropology, sociology, international studies, security studies, geopolitics, area studies, economics, geography, sociolinguistics, literature, psychology, and related fields. Papers presented at the Convention will be made available for $10 on a CD to Convention attendees, but will neither be posted on the ASN website, nor be sold to Convention non-attendees. •“Religion and Multiculturalism”, on the social and political challenges related to the integration of religious-defined “old” and immigrant communities in modern societies. Nationalities Papers, the ASN flagship journal, will hold the first Nationalities Debate, a high profile discussion on the state of the art, as well as a new edition of the roundtable “How To Get Your Article Published”, one of the most attended panels in the past two conventions. Nationalities Papers will also sponsor the opening reception. For several years, the ASN Convention has acknowledged excellence in graduate studies research by offering Awards for Best Doctoral Student Papers. The winners at the 2011 Convention were Ljubica Spaskovska (U of Exeter, History, UK) for the Balkans, Christina Zuber (U of Köln, International Studies, Germany) for Central Europe, Kitty Lam (Michigan State U, History, US) for Russia/Ukraine/Caucasus, Leyla Amzi-Erdogdular (Columbia U, History, US) for Central Eurasia/Turkey, and Sarah Jenkins (U of Aberystwyth, International Politics, UK), for Nationalism Studies. Doctoral student applicants whose proposals are accepted for the 2012 Convention, who will not have defended their dissertation by 1 November 2011, and whose papers are delivered by the deadline, will automatically be considered for the awards. The ASN Convention inaugurated in 2010 an annual ASN Harriman Book Prize—the Joseph Rothschild Prize in Nationalism and Ethnic Studies. The winner at the 2011 Convention was Carter Vaughn Findley for his monograph Turkey, Islam, Nationalism, and Modernity (Yale University Press, 2011). For information on how to have a book considered for the 2012 Book Prize, please contact Dmitry Gorenburg at asnbookprize@gmail.com, or go to http://www.nationalities.org/convention/rothschild.asp. The 2012 Convention is also inviting submissions for documentaries made within the past few years and available in DVD format (either NTSC or PAL). The documentaries selected for the Convention will be screened during regular panel slots and, in several cases, will be followed by a discussion moderated by an academic expert. Films on the 2011 Program included Aghet—Ein Völkermord (Germany, 2010), Facing Genocide: Khieu Samphan and Pol Pot (Sweden, 2010), The Green Wave (Germany, 2010), Three Stories of Galicia (US, 2010), and Vlast (US, 2010). The full 2011 film lineup can be accessed at http://nationalities.org/convention/pdfs/ASN-2011-Film-LineUp.pdf The Convention will also inaugurate an ASN Audience Award for Best Documentary. More details will be available later. The 2012 Convention invites proposals for individual papers or panels. A panel includes a chair, three or four presentations based on written papers, and a discussant. The Convention is also welcoming offers to serve as discussant on a panel to be created by the Program Committee from individual paper proposals. The application to be considered as discussant can be self-standing, or accompanied by an individual paper proposal. There is no application form to fill out in order to send proposals to the Convention, but the three mandatory items indicated below (contact information, abstract, biographical statement) must be included in a single Word document (PDF documents will be accepted only if they are single-spaced). In addition, a Fact Sheet – downloaded from www.nationalities.org – is required. A formal application email must thus include the attached Word document detailed above (contact info, abstract, bio), as well as the Fact Sheet (or multiple Fact Sheets in the case of panel proposals, i.e., one per panel member). Incomplete applications may not be processed. Applications for papers and for panels should be submitted in a single message. With the extremely high volume of correspondence, the Convention cannot process applications contained in several fragmentary messages. *A 100-word biographical statement, in narrative form (one paragraph). CVs will be rejected. 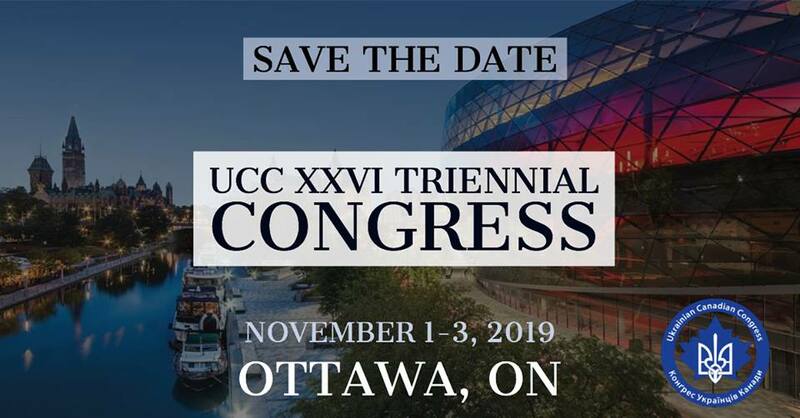 Individual proposals featuring more than one author (joint proposal) must include the contact information and biographical statement of all authors and specify whether all co-authors intend to attend the Convention. *A Fact Sheet, to be downloaded at www.nationalities.org. (In the case of co-authors, only those intending to attend the Convention must send a Fact Sheet). *A Fact Sheet for each panelist. Proposals can also be sent for roundtables (with presentations not based on written papers) and book panels. The same four elements apply. *A 100-word biographical statement (see above). CVs will be rejected. Proposals for a roundtable following the screening of a film are most welcome. In these cases, the requirements of a panel proposal apply, in addition to the 300- to 500-word abstract of the film. Proposals for applicants already included in an individual paper or panel proposal need only include the 100-word statement on areas of expertise. IMPORTANT: As indicated above, all proposals must be sent in a single email message, with an attached proposal (contact info, abstract, bio statement) and an attached Fact Sheet (or multiple Fact Sheets, in the case of co-authors and/or panel proposals). Proposals including contact information, the abstract and the bio statement in separate attachments will not be considered. The proposals must be sent to darel@uottawa.ca AND darelasn2012@gmail.com. The receipt of all proposals will be promptly acknowledged electronically, with some delay during deadline week, due to the high volume of proposals. Participants are responsible for covering all travel and accommodation costs. Unfortunately, ASN has no funding available for panelists. An international Program Committee will be entrusted with the selection of proposals. Applicants will be notified by January 2012. Information regarding registration costs and other logistical questions will be communicated afterwards. Several dozen publishers and companies have had exhibits and/or advertised in the Convention Program in past years. Due to considerations of space, advertisers and exhibitors are encouraged to place their order early. For information, please contact Convention Executive Director Gordon N. Bardos (gnb12@columbia.edu). The ASN Facebook page will post regular updates on the ASN 2011 Convention. To become a follower of ASN on Facebook, go to http://www.facebook.com/pages/Association-for-the-Study-of-Nationalities/116040015082264?ref=ts and click on the “Like” option. ASN has also inaugurated the popular ASN Nationalities Blog in 2010. The blog can be accessed at http://nationalities.wordpress.com/ and blog updates are posted on Facebook. KIEV, Ukraine—President Viktor Yanukovych hinted Friday he might yield to increasing Western pressure and end the trial of former Prime Minister Yulia Tymoshenko by changing Ukraine’s criminal code. Speaking at a conference in Yalta, Mr. Yanukovych distanced himself from the trial of the opposition leader, calling it “very painful.” He said he hoped that the criminal code would be “modernized” this year. Political analysts said such an overhaul could decriminalize the article under which Ms. Tymoshenko is being tried. The criminal code dates to 1962, when Ukraine was part of the Soviet Union, the president said. “That, undoubtedly, is nonsense,” he said, according to a transcript of his remarks posted on his website. The prosecution of Ms. Tymoshenko has threatened to hamper Mr. Yanukovych’s push for deeper economic and political ties with the European Union. Ms. Tymoshenko is accused of exceeding her authority as prime minister by allegedly ordering a subordinate to sign an unfavourable gas-purchase contract with Russia in 2009. EU and U.S. officials have raised concerns that the trial appears politically motivated. Senior European politicians have warned that the failure to free Ms. Tymoshenko could lead to refusal by parliaments of some EU states to ratify an association agreement. The trial judge called an unexpected two-week pause in proceedings Monday, three days after a joint letter to Mr. Yanukovych by Secretary of State Hillary Clinton and EU foreign policy chief Catherine Ashton raised concerns about the case. Analysts said the recess gives Mr. Yanukovych an opportunity to find a way out of the prosecution of Ms. Tymoshenko, a longtime rival. She accuses him of carrying out a political vendetta and using the trial to remove his leading opponent from the political scene. EU Enlargement Commissioner Stefan Fule said after a meeting with Mr. Yanukovych on Friday: “We have been fully assured about his commitment to finding a solution,” Reuters news agency reported. “We would like to see her being fully a part of political life,” Mr. Fule said. As the EU’s criticism is sharpening, Ukraine’s eastern neighbor Russia is pressing Mr. Yanukovych to accept its competing offer of closer political and economic ties. Russia’s leaders have tried to tempt Mr. Yanukovych with an offer of lower gas prices, which Ukraine has long sought, in return for his agreement to take Ukraine into a Moscow-led customs union. On Friday, Russian Prime Minister Vladimir Putin said Mr. Yanukovych’s declared aim of joining the EU is “completely unrealistic,” Interfax news agency reported. Mr. Yanukovych, who will travel to Moscow on Sept. 24, repeated his rejection of Russia’s offer. Ukrainian Prime Minister Mykola Azarov has said it is “immoral” to link his country’s European integration aspirations with the trial of former Ukrainian prime minister Yulia Tymoshenko. His remark comes a day after German Chancellor Angela Merkel telephoned Ukrainian President Viktor Yanukovych to express concerns that Ukraine’s court system is being used as a tool against political opponents. Merkel told Yanukovych that European Union assistance to Ukraine depends on visible commitments to democracy and rule of law. Merkel’s spokesman said the chancellor specifically named former Ukrainian Prime Minister Yulia Tymoshenko, who is currently detained and charged with corruption. Barring an unlikely 11th-hour reprieve, it now looks inevitable that Ukraine’s former prime minister, Yulia Tymoshenko, will find herself staring at a lengthy prison sentence. Yet prison bars will not silence her or those campaigning for freedom and democracy in Ukraine; a realization that is now dawning on authoritarian President Viktor Yanukovych. Tymoshenko may be “pardoned” by President Yanukovych, who wants to appease the European Union in the face of Kyiv’s deteriorating relations with Russia. But the charge would still prevent Tymoshenko from running in future elections. A “pardon” would do nothing to change the fact that countries respecting the rule of law do not criminally charge political decisions. Tymoshenko is accused of exceeding her authority and damaging the state when, as prime minister, she authorized a natural-gas agreement with Russia in the winter of 2009. The January 2009 gas agreement ended a bruising, 17-day standoff that saw EU households shiver as gas supplies were disrupted. At the time, she was widely praised for resolving the dispute and removing the opaque intermediary company RosUkrEnergo from the gas trade, while transitioning Ukraine to European market prices for gas with a hefty 20 percent discount. Not surprisingly, the trial, widely regarded as politically motivated, has prompted massive criticism from the international community and crossed a line that may have buried Ukraine’s hopes for a Deep and Comprehensive Free Trade Agreement (DCFTA) with the EU. That was certainly the mood among American, Western, and Eastern European participants of the Krynica Economic Forum held on September 7-9. The mood at the forum and in the EU as a whole is in favor of freezing the DCFTA during the ratification process until political prisoners are released. In Krynica, the Tymoshenko “show trial” was condemned as “barbarous” by some panelists. No European or American government will accept the conviction of a defeated presidential opponent for making the “wrong” political decision. If politicians were tried for making bad decisions, itself a subjective view, there would be many sitting in the dock, blamed for everything from intervening in Iraq without explicit UN approval to bringing on the 2008 global financial crisis. The absence of a crime in Western eyes — something attested to by many legal experts and even by some of the former prime minister’s harshest critics — has not changed the policies of the Yanukovych administration, whose motives appear twofold. Firstly, revenge for the personal humiliation of the 2004 Orange Revolution and for the removal of the RosUkrEnergo cash cow, which benefited highly placed oligarchs close to the president. Tymoshenko, unlike some other Ukrainian opposition leaders, has never been willing to play by their rules, and her removal is required to prepare Ukraine for a “managed democracy” where the ruling Party of Regions is faced by token opposition. Secondly, giving Tymoshenko a criminal conviction and prison sentence stops her from running in next year’s parliamentary and 2015 presidential elections. A “pardon” or suspended sentence means she would stay out of prison, thus allowing her to campaign on behalf of others. The EU has already stated that, without opposition leaders allowed to run, it will be impossible to declare Ukraine’s 2012 elections as in accordance with democratic standards. Today, Yanukovych finds himself on the horns of a dilemma of his own making. Until now, the Socialist group in the European Parliament has been less critical of democratic regression in Ukraine than the center-right People’s Party. This is now changing, making it impossible for the European Parliament to ratify the DCFTA at a time when Ukraine has 40 political prisoners — twice the number in Belarus. While Ukraine’s stock in Brussels is in decline, Yanukovych has very poor relations with Russia. Another gas crisis is looming this year, the third since 2006. U.S. diplomatic cables leaked by WikiLeaks show that Prime Minister Vladimir Putin has never held a positive view of Yanukovych. And Putin is most likely to be elected president in March 2012, meaning Moscow’s tough policies could become even harder. A ‘Second Belarus’ In The Making? Ironically, Yanukovych has succeeded in uniting 13 opposition parties and giving them a common purpose. Although self-preservation may be a motivational factor — if it’s Tymoshenko today it could be them tomorrow — this consideration is eclipsed by a genuine sense of outrage.